The Bermuda Triangle may be a place you will disappear into the great abyss. But first and foremost it is a charming local lesbian bar, at least in San Antonio. They offer a friendly vibe and a place for the ladies to let loose in good company. Wednesday is Karaoke night offering $2.50 premium beer and $1.00 puckers. 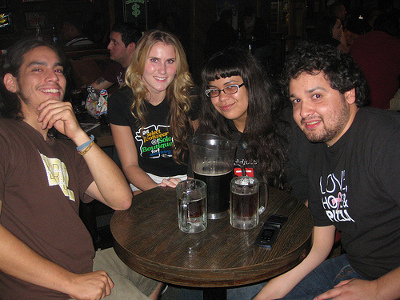 Thursday is college night and supporting that is the $1 Tecate and free cover for your college budget. Friday is detox night and suprise suprise they serve a steal of a deal; Grey goose and Crown royal for $2.50. If you can't crack your nesting routine and bring you and your girl to the Bermuda Triangle for a drink then we need to have a serious talk. Bring on the leather couch.